A collection of Apple suppliers have shared revenue reports today, which also provide a glimpse into the upcoming "peak" iPhone and Apple Watch manufacturing season. Starting off, Foxconn looked back at its profits in July and reported consolidated revenues of NT$315.06 billion (US$10.62 billion) for the month, which marks an increase of 7.53 percent year-on-year. For the first seven months of 2017, Foxconn's combined revenues were NT$2.2 trillion, increasing by 1.64 percent year-on-year (via DigiTimes). Those watching Foxconn's revenue report are now expecting the October-December period to be the "peak of 2017" for the company, thanks to its status as one of Apple's biggest suppliers and the launch of the iPhone 8 sometime in September. Foxconn's revenue will increase "gradually" in August, according to market watchers, and will continue until the end of the year. Holiday spending traditionally helps increase Apple and its suppliers' revenue, even boosting Foxconn's December period in 2016 in the face of an overall year that saw its first-ever profit decline. Some market watchers expect Foxconn's revenues to increase gradually beginning August and the growth will last until the end of 2017 with the fourth quarter being the peak of 2017 for Foxconn. Apple Watch supplier Quanta Computer announced revenues for the second quarter of 2017 at NT$235.37 billion (US$7.93 billion), growing 3.3 percent from the previous quarter and 13.3 percent from the year-ago quarter. Today's report stated that next-generation Apple Watch shipments will begin in the fourth quarter, gradually increasing Quanta's financial performance in the second half of 2017 -- a sentiment that's been shared in previous supply chain reports due to Quanta's status as the sole supplier of the "Apple Watch Series 3." With the notebook market entering the traditional peak season, its server shipments expected to enjoy growth and the next-generation Apple Watch set to begin shipments in the fourth quarter, some market watchers expect Quanta's financial performances to gradually pick up in the second half of 2017. In other supply chain ramp-up stories, TSMC has entered mass production on the iPhone 8's A11 chip in the third quarter of 2017. The next-generation chip is being crafted with a new 10-nanometer FinFET process, and originally began production back in May after a month-long delay. TSMC is also using its 10nm manufacturing process to build the new iPad Pro's A10X processors, and it's predicted the A11 processors will also find their way into the "iPhone 7s" and "iPhone 7s Plus." In addition, TSMC has already started mass production of 10nm FinFET chips in the third quarter, driven by Apple's orders, the report indicated. TSMC's 10nm FinFET process has been adopted by Apple for its A10X processors for use in its 10.5- and 12.9-inch iPad Pro tablets and A11 chips that will power the upcoming iPhones. 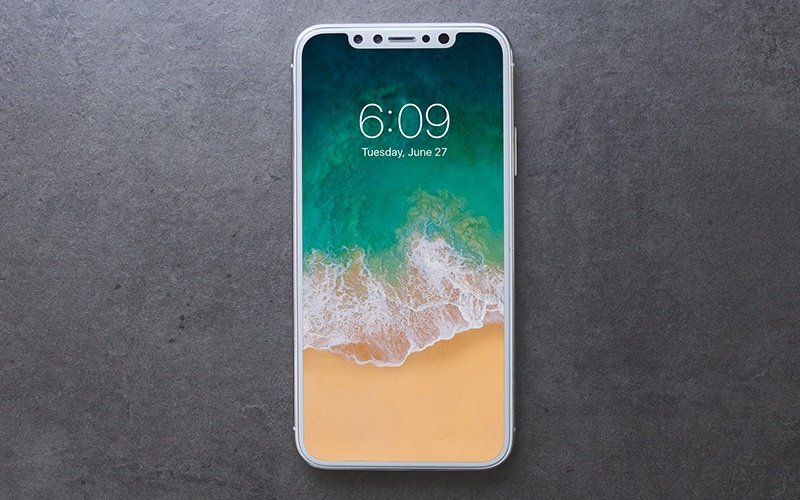 There have been numerous reports from Apple's supply chain in recent weeks, timed ahead of the rumored announcement of the iPhone 8 in September. These include a report centered on Lumentum and "massive" orders it has received for components related to its vertical-cavity surface-emitting lasers. Such technology is believed to be for the advanced camera and 3D sensing features of the iPhone 8. Last week, all three new iPhones were reportedly entering volume production, and Samsung Display began gearing up to operate seven of its next-generation OLED lines at full capacity earlier this month, all aimed at the iPhone 8. In terms of the main suppliers for Apple's next-generation OLED smartphone, Foxconn, Pegatron, and Wistron are predicted to hit a sales high in the period running from September to November of this year, due to shipments of finished iPhones that will "start gaining momentum" as soon as this month. Who are "you people"? Investors or iPhone customers?